Planning a trip to Roatan this summer? If you wish to save on transportation to the island, there are a couple of ways to spend less cash on flights. Of course, you will need to go out there to find a good deal by visiting a number of booking sites and sometimes altering your dates in order to save big on your flight to Roatan. In case you are visiting Roatan during the peak travel period, it is recommended to book tickets early. The truth is that airline companies increase ticket prices in the last two weeks before the flights. Therefore, make sure to book tickets 3 to 5 months ahead during the high season in Roatan. In case they have failed to sell most of the tickets, some airlines offer last minute tickets which usually come at low prices. There are several sites that specialize in last minute tickets like Last Minute Travel. You can also find last minute flight tickets at low fares on airline websites and Expedia. Buying tickets a couple of days before the flight is ideal for passengers who are flexible with their dates. You should never purchase the first fare you see online, as the prices vary from one place to another. The first step is to check major online travel provided like Kayak and Travelocity for flight tickets. This will give you a preliminary estimation of the cost of the ticket to Roatan. The next step is to visit the official website of the airline and see if there are cheaper tickets on the same flights. While you are on their website, you can also check if they have any special sales or promotions on their flights to Roatan. Travelers can also subscribe to major booking sites that usually inform their subscribers when the fares drop. You can track fares as long as you want, but eventually, there is going to come a time when you will need to make that final purchase for your flight to Roatan. Websites like Kayak can help you make this decision, as they offer a prediction and can advise you when the right time to book the flight tickets comes. There also have a fare history graph that showcases the downward and upward direction of ticket fairs. 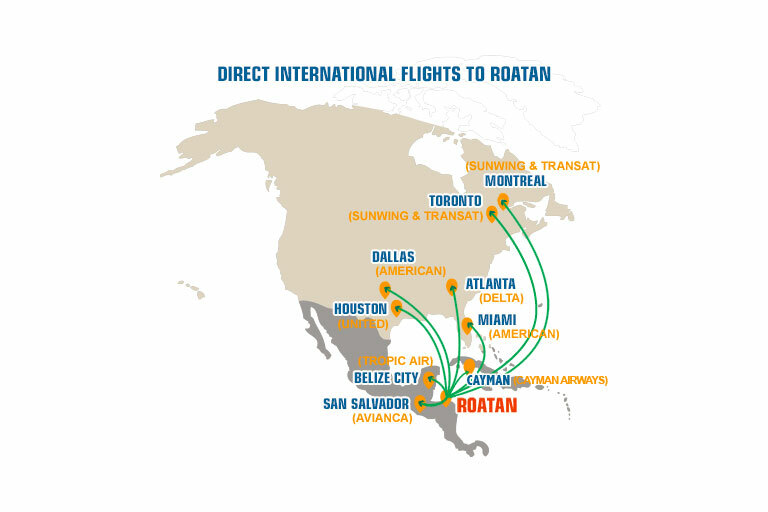 The best case scenario is that you live close to several airports that offer flights to Roatan in Honduras. There are many online search engines that can inform you about fares from more than one airport. You can also do some experiments with the dates of your travels by shifting your arrival time by a week or a month to see the difference in fares. The lowest fares for travel can be usually found on Tuesdays, Wednesdays, and Saturdays.